Choosing the right stone care products that are specifically designed to clean and maintain stones sometimes seems quite a task. If not selected carefully, the stone care products can dull or damage your stone surfaces. Therefore, it is important to choose professional grade cleaners for all your stone cleaning requirements. 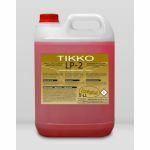 At Tikko Products, we provide a complete line of products to protect, clean and transform stone surfaces. 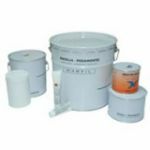 Different kinds of stone care products offered by us include marble cleaner, limestone cleaner, granite cleaner, travertine care products, ceramic care products and much more. All of our products are unique, innovative and easy to use solutions which protect and preserve your stone surfaces against the wear and tear of everyday living. Using our different stone care maintenance products like shine maintainer, pre crystallizer, dark granite gloss finish, cement and grout residue remover, rust remover, resine for travertine and natural stone repair, slip safe anti slip treatment product and more, along with high quality tools available at our site, work like magic in maintaining the pristine stone fixtures in your home. They are truly effective in keeping your house interiors looking as beautiful as the day you moved in. If there are stone fixtures in your house, it is important to preserve them or else they will lose their shine and beauty over time. An excellent way to keep them in a great condition is to use stone care products offered by Tikko Products. Tikko Products a well-renowned company, offers effective solutions for the proper care and maintenance of different types of stones. Enhance the lifespan and beauty of your stone fixtures including tile countertops, floors, walls and other installations. Our high quality stone care products and tools not only do an effective job of cleaning but are economical as well.